1: Thame United were formed in 1883, making them one of the oldest clubs in Oxfordshire. They spent their formative years in local Oxfordshire leagues, winning the Oxford Senior League on 5 occasions. 2: In 1959 they joined the Hellenic League, staying until 1988. They won it once and were runners up on 3 other occasions. 3: From 1998 to 1991 they had a short but successful spell in the South Midlands League. They were runners-up twice, winning the league in their final season. 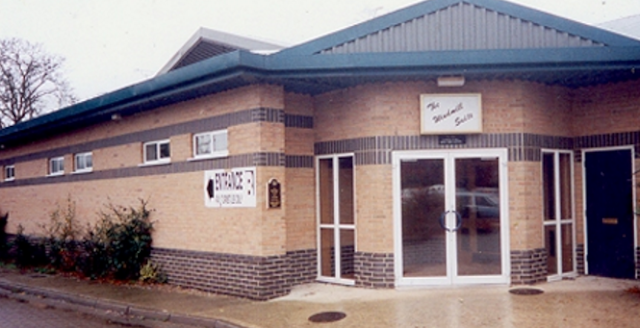 4: In 1991 they joined the Isthmian League, initially at Division 3 level. A runners up spot behind Aldershot Town was enough to see them promoted to Division 2 in 1993. They were Champions in 1995, remaining there until 2004. 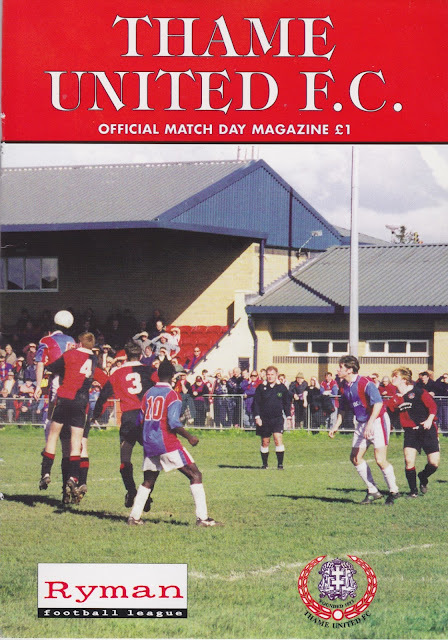 That was apart from 1998/99 when they had been relegated back to Division 2 but 3rd place behind Harlow & Bedford Town was good enough to see them bounce back. The 4th placed finish in 99/00 remains their best ever placing in the non league pyramid. 5: They transferred to the Southern League for their last season at Windmill Road, finishing 11th in Division 1 South & West. 6: Thame United's best run in the FA Cup prior to leaving was the 4th Qualifying Round which they reached in their last 2 seasons. The first was perhaps the most memorable, including a giantkilling over Bath City before a narrow 2-1 defeat to Farnborough Town. 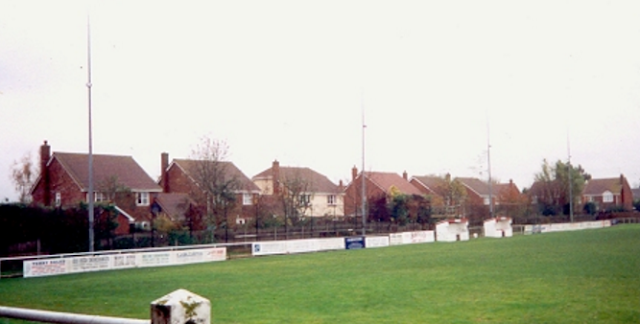 7: They reached the FA Vase semi-final in 1998/99 where they faced Bedlington Terriers. They lost 5-0 in the north east before drawing 0-0 at home in the second leg. 8: In the FA Trophy their best progress came in 2002/03 when they lost 3-2 to Windsor & Eton in the 3rd Round. 9: Their most well known player was Jefferson Louis. The much travelled striker joined from Risborough Rangers in the late 90's before going on to have a varied career which invlved several football league clubs. 10: Their last season at the ground was a financially fraught one, with unpaid bills and an eviction notice. They kept their heads above water however an after a nomadic 6 years moved back to Thame in 2011 at their brand new ASM Stadium. 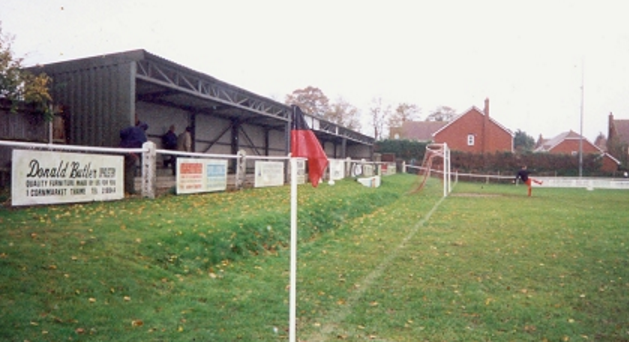 My one and only visit to Thame United's old Windmill Road ground was in July 1999, for a match with Wycombe's reserve team. I had passed my driving test only a few months before, and as one of the few in my friends circle that could drive (some things never change!) I was assigned driving duty for the night. I don't remember an awful lot about the game, though I do recall whatever Wycombe side were out there were pretty woeful (again some things never change) The winner from Thame United was a 25 yard screamer from Roni Joe. He went on to have 5 seperate spells for Aylesbury United in a decent non league career. Thame also included 19 year old Jefferson Louis who would go on to have a much travelled career. There was a famous name in the middle as Premiership referee Dermot Gallagher officiated the game. Wycombe included trialist Andy Kinsey who had been playing Sunday league football up to that point. He went on to have a good career in Staffordshire non league football and is currently at NPL D1 South side KIdsgrove Athletic where he is player-coach. 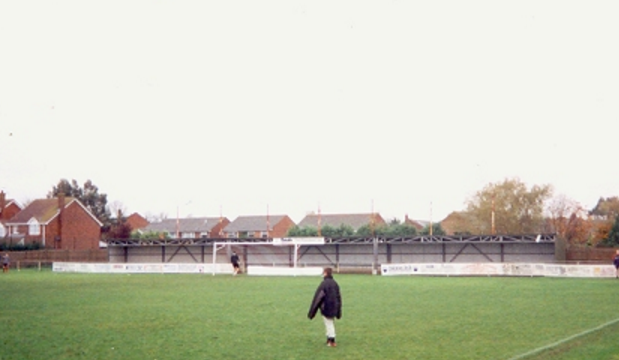 WINDMILL ROAD was a smart and tidy non-league ground. 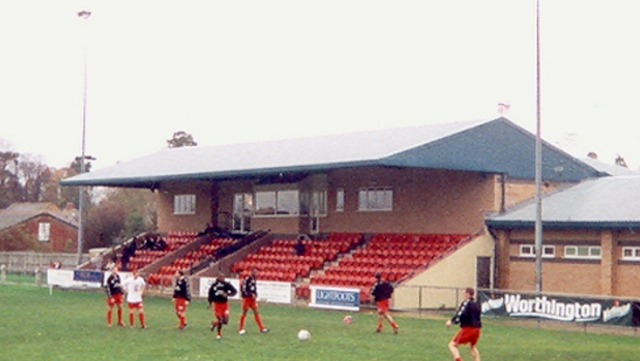 The main stand held 250 supporters and was of an attractive design. There was further cover behind one of the goals for a few hundred fans, with the rest of the ground being open. It's unclear when the club moived to Windmill Road, although they were evicted in 2005 after their landlord finally got planning permission to build houses on the site. DISCLAIMER: With regards to pictures of the old ground, I didn't have any, but I found some on the net at a site called Pyramid Passion.The below are screen grabs of the photos, should it ever go offline. They are the only ones I could find on the net as Flickr and Google Image search threw up nothing.